My grateful thanks to Jen Lucas of Jen Med’s Book Reviews, whose concept this is and who generously said I could use it. It appeals to me because, like Jen, I find it really difficult to narrow books down to a top ten or even a top 15, so this offers more flexibility. Jen’s rules, adapted by me are: The book must have been published (in ebook, hardback or paperback in 2018 to qualify. 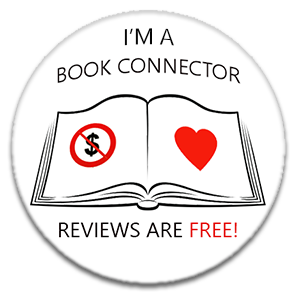 If they have been awarded my Must Read badge they automatically qualify, regardless of what other books are in the list. There is no rhyme or reason to the way the books inside or outside of the top ten are listed – it is mostly either reading order or publication date based on the order I read them for my blog. So what’s behind Door No 1? My first book is the fabulous Anatomy of a Scandal by Sarah Vaughan. It has everything I look for in a book. Sarah Vaughan is an author who knows her subjects and can write convincingly and authentically – in this case about Oxford University life, Westminster politics and criminal law. Characters you can put a face to and in some cases identify with, and in other cases can quite understand how they came to take the stances that they do. The author is careful to stress that this is a work of fiction throughout, but there are times when you just can’t help but put faces against some of the characters here, you feel that you know them so well. This is a story of privilege and the elite and of what happens when they meet justice head on. Love this Mary. Also loved Anatomy Of A Scandal – brilliant read!